This is probably the most common response people seem to go to, even if it is the wrong one. People are so fixated with wanting their readers to go to their websites and buy straight away. Tell me something, how many strangers on the Internet have you brought something from because they just told you a great story? None right? You have to preheat (or presell your readers) the oven before you can ask for their credit card details. Sending your readers to your website will usually result in a lower sales percentage straight off the bat. That is of course if you are selling them anything at all. If you were selling them something, the best bet would be to send them straight to your newsletter signup link in your resource box. But if you are sure you want to send them to your website, the best way to do that is to tell your readers (in your article) that if you go to your website (in your resource box), there is a free gift (of value) they can get, just by visiting your site. Make sure if you do this, it's not a blatant plug for a product and the gift is of real value, or very few publishers will publish your article, and fewer readers will respond to you in the future. No one likes being sold straight off the bat, and by giving them a free gift, or getting them to give you their email address some way is the best way to go. This one is quite tricky. For starters, some publishers don't allow you to put affiliate program links in your article at all, and if you do, they have to be completely in context and it must be one brilliant article, but that's not a problem. You can of course put an affiliate link in your resource box, which would be allowed straight away. 3) Subscribe to your mailing list. This is one of the better options. Why, because when they sign up for your mailing list, they are giving you permission to contact them via email on a regular basis. It would be very hard in your article to announce your mailing list in context of the article, as it would come off as a blatant plug, so the best bet would be to include your subscribe email address in your resource box. Send them to a splash page where you can capture their email address. Or let your readers to send a blank email to your autoresponder/mailing list email address and subscribe from there. Give them a free gift, something of value. 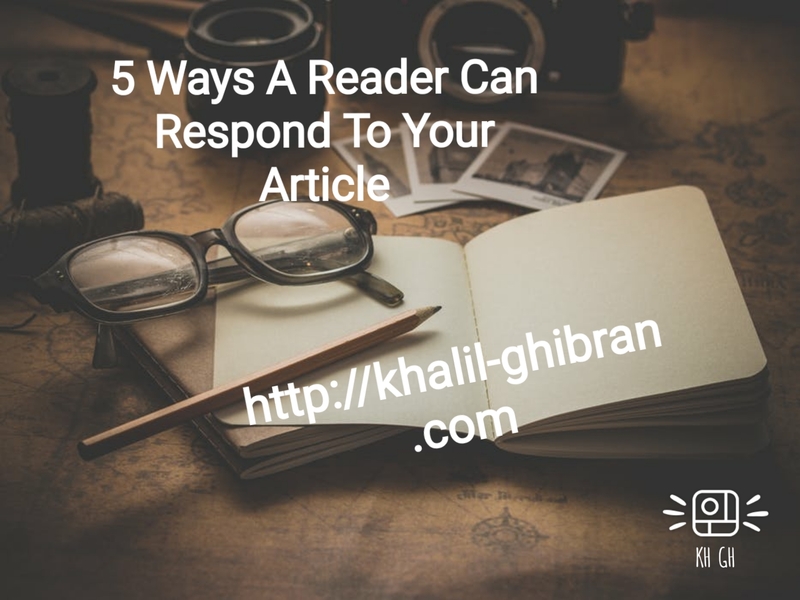 If you want your readers to refer your articles to other people, here is what you do. You send them to a website, with a refer a friend script. This website also has your previous articles on there as well in an easy to use site. You see how many possibilities there are. By giving them something in return with value, like a free 5-day course, you get them to refer your article/website to their friends. If you want people to contact you personally, don't make them dig through a website to find your contact details. At the very least, put your email address in your resource box, if not your business phone number.